At eSquared Asphalt Maintenance, our professionals work diligently to ensure professional, complete completion of your project with no stress to you and no strain on your wallet. Our technicians will work with you to provide the best service possible and go over all possible options and outcomes. Whether you need parking lot maintenance in Killeen, TX, or you want your back patio restored, our experts have you covered. Contact us at 254-716-8685 to arrange your consultation. Our technicians are seasoned and trained in all aspects of concrete striping in Killeen, TX including local and state guidelines and codes. Our professionals offer guidance on the most beneficial and durable materials for your project, and create a uniform paint job that’s smooth and long-lasting. Our professionals ensure your job is always in compliance with organizations like the EPA and ADA to make sure that you don’t get penalized. Handicap Logo Painting When your logos are starting to peel and crack, call our experts to repaint them flawlessly to prevent code violations. 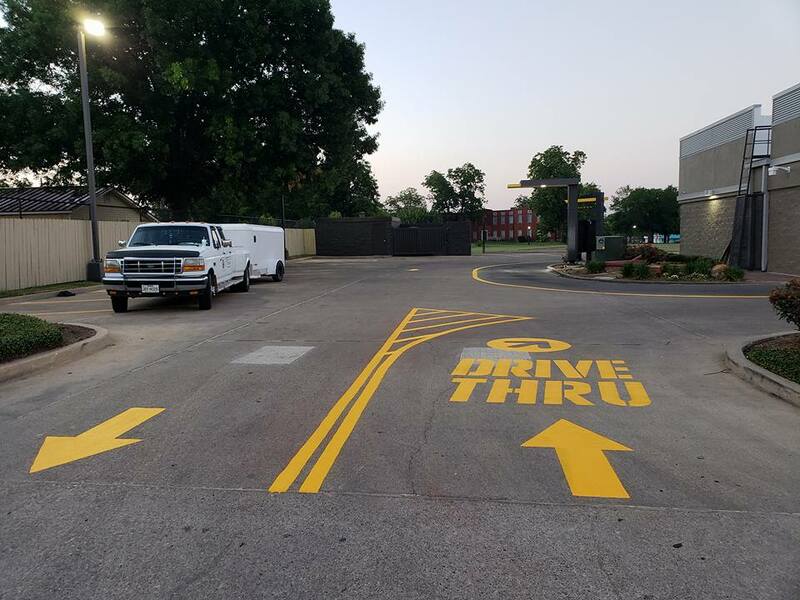 Road Striping No matter if you’re looking for temporary construction striping or permanent lining, our professionals have the experience and skill for the job. Warehouse Striping Improve the look and safety of your warehouse by striping forklift and pedestrian lanes, restricted areas, and more. Reflective Parking Lot Paint Learn how reflective paint can give extra reflection at night and in the rain and whether it will benefit your business. Our technicians can deliver pressure washing services for all types of surface, including wood and vinyl. Our experts can get rid of all dirt, grime, and even paint from your surface without damaging the underneath. Our professionals will restore the fresh look of your material and maximize its longevity and resistance. For commercial or residential pressure washing in Killeen, TX, call the team you can depend on. Contact 254-716-8685 to find out more about our pressure washing services and benefits. Code Compliant Pressure Washing Don’t fall victim to non-compliant pressure washing practices. Our team observes and follows all EPA guidelines. Driveway Pressure Washing Revive your driveway and maximize its lifespan with our driveway pressure washing service. Restaurant Pressure Washing Stay in compliance and patron friendly with complete pressure washing from the dining area to the back, and everything in between. Concrete Stain and Gum Removal First impressions last forever. Ensure you’re extending a good one with our parking lot and sidewalk cleaning to remove stains, gum, and other debris. Our professionals also provide expert installation, repair, and maintenance of walkways, patios, fence columns, and even retaining walls. Our professionals are skilled at specialty concrete and can deliver completely customized touches like decorative or stamped design techniques. We can repair or clean any concrete structure, and provide resistance to UV rays, water, and other elements that can cause your concrete to age and degrade. Call the eSquared Asphalt Maintenance professionals when you need concrete services in Killeen, TX that stand the test of time. Concrete Walkway Installation Create depth and dimension within your yard with a walkway that can prevent erosion and flooding. Concrete Bordering and Curbing Discover how customized concrete borders can provide beauty and elegance while eliminating washout and soil erosion. Specialty & Decorative Concrete Company Learn how our technicians can create a completely customized look for your home with our specialty techniques. Concrete Waterproofing Service Learn how our technicians can prevent water damage within your concrete with a waterproof coating. If you are looking for services that don’t have to do with concrete installation, lining, or pressure washing, we offer additional services. From window washing to gutter cleaning, our clients can come to us when they need other services besides asphalt and concrete services. If you are having construction done on a commercial property and need construction clean up or you home’s gutters need cleaning, please call us today at 254-716-8685! We are here to help when our clients need additional services and concrete striping in Killeen, TX. Our technicians work diligently to cultivate relationships with the top area suppliers to ensure your products are always high quality, and we provide top rated workmanship that’s guaranteed to satisfy. 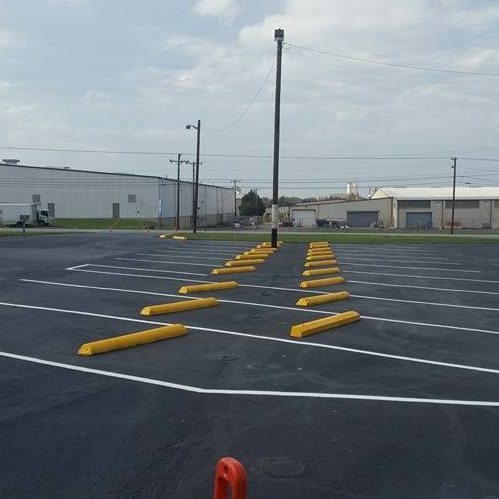 If you need quality parking lot maintenance in Killeen, TX, call our professionals by calling 254-716-8685 for expert concrete lining, maintenance, and care of all of your concrete.